“One of the most gifted winemakers in Piedmont…these are wines of extraordinary richness, amazing aromatics, and sensual personalities that satiate both the hedonistic and the intellectual senses.” Robert Parker, Jr.
Join us as we step into autumn with an entertaining and informative tasting of Domenico Clerico and great wine great food and great conversation at a dinner with his wines. 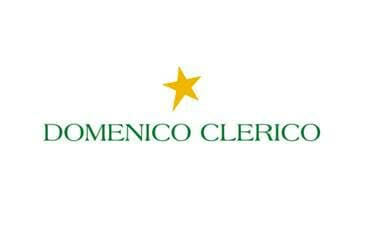 Domenico Clerico’s estate is situated in Monforte d’Alba, in the heart of Barolo. He is one of the most respected names in all Barolo and was one of the key figures in the story of the modernist movement of Barolo, which shocked a region set in tradition by making dense, rich, aromatic wines. He is renowned for both winemaking of the highest quality and for the exceptional expression of terroir in his wines. Considering himself more a grape grower than a winemaker, He believed that great wines are made in the vineyard and the grape, rather than the production processes, is the key to quality wine. Clerico’s single-cru Barbera d’Alba “Trevigne” is briefly kissed by barriques and his Dolcetto “Visadi” regularly receives 90 points from the major international publications and represent two of the greatest wines made from these varietals. The barrique aged Nebbiolo/Barbera blend “Arte” was the original “super-Piedmont” wine. Particularly known for rich, aromatic, single vineyard Barolo the Ciabot Mentin, receives 24 to 30 months in French barriques and the Pajana spends over 20-30 days on the skins. Join us for great wine great food and great conversation with the wines of Domenico Clerico We hope you can join us at the tasting and/or the dinner. John Camacho Vidal is a respected wine educator who has worked with Italian wines for over 9 years, making the region his specialty.